The Nintendo 3DS has now been out for over 6 years and is still a relevant and current handheld system, it’s still getting game releases to this day. The first time I ever saw a 3DS was when I was hanging out with a friend, maybe in 2011 or 2012, and she was playing Ocarina of Time 3D. I didn’t know a lot about the 3DS back then. I had a DS Lite which I owned for probably around only a year or two prior, but at the time I was more into buying RPGs for my PS2. I don’t think I realized how great the original DS was and all of the RPGs I missed out on during that handheld generation. Come 2013, I made sure I got my hands on my own 3DS. Now this was back before I bothered with much social media and I was still pretty uninformed on gaming news at this point. So I didn’t know all of the great RPGs that I would soon get to play. It was only a matter of time before I came to see what Nintendo’s 3DS had to offer. My very first 3DS game would end up being Mario Kart 7. No, it wasn’t as fancy and amazing as Mario Kart Wii which I already loved at the time. Yet I had fun with it anyways, at least for a little while before I really started to build up my 3DS collection. During that time I also went to the eShop and downloaded an Etrian Odyssey IV demo (the only 3DS Etrian Odyssey available in early 2013). Having barely played any 1st person dungeon crawlers before, I didn’t know what I was doing, yet the music and overall atmosphere of the game was really good and it seemed interesting. But because of not knowing what I was doing, I found it to be quite the difficult series. So I wouldn’t actually spend my money on the series until around a year or so later. When that time came, I bought Etrian Odyssey Untold: The Millenium Girl for about $20 digitally (a wonderful deal by the way). This one was much easier to get into as my first entry. EOU had a newly introduced in-depth story mode, something like what most RPGs have and it really made it worth getting past those difficult parts to see what happened next. The soundtrack by Yuzo Koshiro helped make for an awesome atmosphere and kept the dungeon crawling from being too much of a chore. The soundtrack got gradually better, the later stratums of the game receiving even greater music than the beginning stratums. Everything about Etrian Odyssey in this one game, was immensely appealing. It completely sucked me in. It only took my first EO game before I went and bought Etrian Odyssey IV (I bought it before beating Untold to be honest). I just couldn’t wait any longer to get another entry and see what it was like. 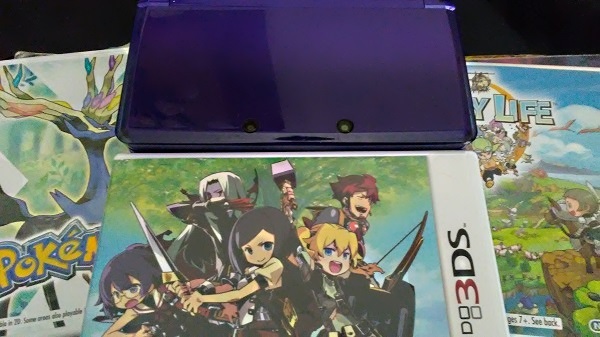 After all, EO IV’s demo was my first experience ever with Etrian Odyssey. I needed to play it at some point. This next series for 3DS (also the main reason I originally wanted my DS Lite, Nintendo’s prior handheld), is another reason why the 3DS has brought me a very large amount of pure gaming joy. That series is of course Pokémon. Growing up, my family never owned Nintendo handhelds. We had Nintendo home consoles, but never the handhelds. My original knowledge of Pokemon came from the TV show I watched as a kid and the small amount of cards I collected. When Pokemon X was announced, I wasn’t sure about it at first. The default main character designs I saw in a trailer seemed a little bit too square shaped and plain. Once I bought this the January after release, I was hooked. I’m a tad bit fashion obsessed in video games where customization is available. That, plus being able to play only my fifth Pokemon game, the first one with 3D models, made it pretty enjoyable. Previously during 5th gen, my Pokémon knowledge was increased to that of the competitive world online. I had started nicknaming my Pokémon who I specially bred and EV trained to battle with online. I raised whichever pokes I liked the most or had on hand for online battling. I ended up growing closest to a few future favorites, two of them being Grumpig and Milotic. 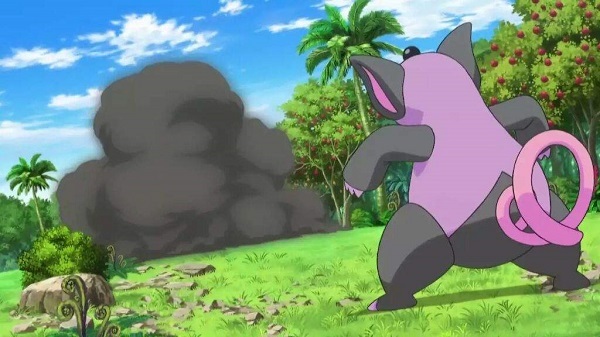 Getting to play a brand new 3D Pokémon game, see my Grumpig in his full 3D form and battle even more online was the best. I’ve probably spent at least 200 hours in Pokémon X. It’s till my favorite Pokémon game, I think. Alpha Sapphire and Moon just don’t really do it for me. Perhaps I’m getting burnt out on needing to raise new battle readies for rated competitions every year and having to acquire various battle items all over again each generation. I don’t know what the problem is with me getting attached to the successive games. What I do know is that Pokemon X was a wonderful next step for the series and I loved every minute I played it. After both Etrian Odyssey Untold, Etrian Odyssey IV and Pokemon X, my love for the 3DS was secured. I didn’t need anymore convincing that it was a wonderful console. One September when I was bored and Shin Megami Tensei IV dropped permanently to $20 on Amazon, I got to play my very first main series SMT game. Every minute of it was glorious. The music was perfect, the story was fun to proceed through, the battles and demons were cool. I was completely engrossed for a good month straight before I got bored. In fact, I was already partially through a new game plus path before putting it down. 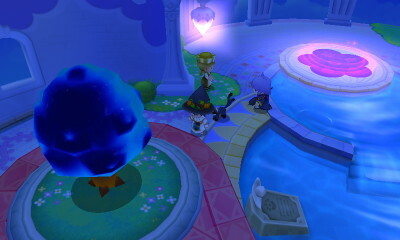 Fantasy Life, another new RPG with character creation, moreso even than Pokemon X, was cute and easy, yet fun and had such an open world for this little cartoon styled RPG. It also included online multiplayer which let you have the same solo game experience (minus the story), except online with others. Rune Factory 4 was everything that Harvest Moon was except with ten times more personality and all of the RPG battles and dungeoning I already loved. Stella Glow, better than Fire Emblem Awakening in my eyes and once again, gave me an RPG with an immensely satisfying soundtrack that fit the game perfectly. The 3DS has continued to give me hit game after hit game. Almost all of them were worth playing and wonderful days of joy to go through. I have never regretted choosing the 3DS for my new game system back in 2013. Today my midnight purple 3DS is almost 4 and a half years old, and it’s seen a lot of wear and use. The New 2DS XL is looking like potentially a worthy future upgrade, considering I don’t predict my love of the 3DS ending anytime soon. Currently, I look forward to Etrian Odyssey V and Radiant Historia Perfect Chronology. I adore my 3DS. Hundreds of hours of joy have been packed into this tiny little handheld console and personally, I hope it has a few years left in it. I want to see an Etrian Odyssey 3 Untold, and I would love even more to see a new dedicated handheld successor from Nintendo. Not just a home console priced system that happens to be portable. 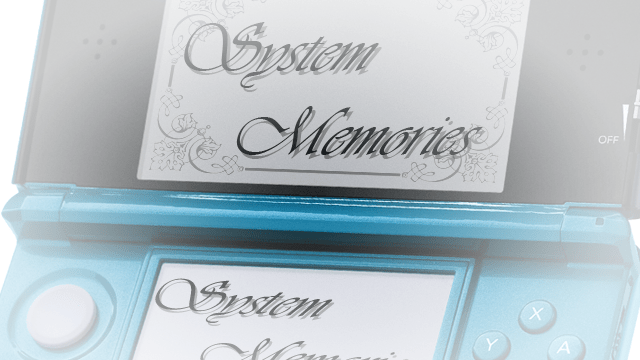 Maybe the 3DS doesn’t have much time left, perhaps I’ll be disappointed and it won’t get that successor. But it’s never too late in my opinion, to pick up this fantastic handheld and start enjoying the massive collection of games. There are lots of games I didn’t mention too, or haven’t had the chance to play myself. Some of those games are from Nintendo such as, Kid Icarus Uprising, The Legend of Zelda: A Link Between Worlds, and Luigi’s Mansion Dark Moon. And then there are plenty of 3rd party games, titles like, Theatrhythm Final Fantasy Curtain Call, Corpse Party and 7th Dragon III Code: VFD. There are numerous 3DS games worth owning one for and I’m glad I’ve had the chance to be immersed in so many.